Marion and Shiva Stone are born to an Indian nun and British surgeon in Ethiopia. Their mother, who nobody knew was even pregnant, dies during their birth; their father, stunned, flees the hospital for good. But the twins find parents in two other doctors at the hospital in Addis Ababa where they are born, and Marion narrates their journey, set against a backdrop of political upheaval, to discover and make peace with the truth of their past. 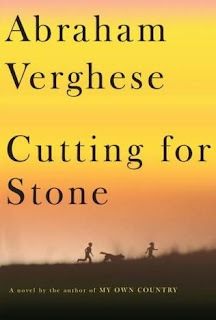 At 658 pages, this hefty novel spans a lifetime and Verghese doesn’t skimp on rich descriptions of surgery or the details of the political situation or the background of minor characters. These details made the story come alive for me. Slow-paced but never plodding, the characters provided ample interest for me to pick up the book at every spare moment. 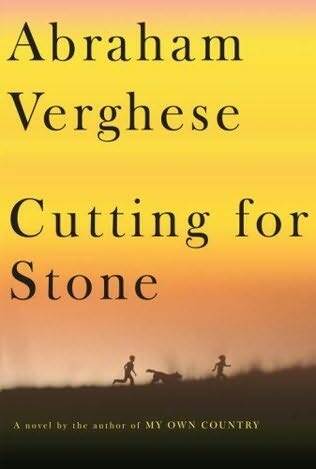 I never quite understood the title – the phrase “cutting for stone” came up a few times in the text but the context wasn’t clear – and I had a hard time understanding Shiva’s character. He was described as “special” because of his unique perspective and how he read literal meaning into everything, but I had a hard time seeing him in my mind as I did the other characters. I loved the setting, the characters, and the thought-provoking themes. Don’t be daunted by the length of this book – it’s well worth the investment of time!